The holiday season is pure magic. It’s about giving, loving, and making space for what matters most. And, it’s my favorite time of year — but, if we’re being honest, we all spend so much time taking care of others that we forget to do that for ourselves. So in the spirit of the season, we want to help YOU make space your goals in 2019. 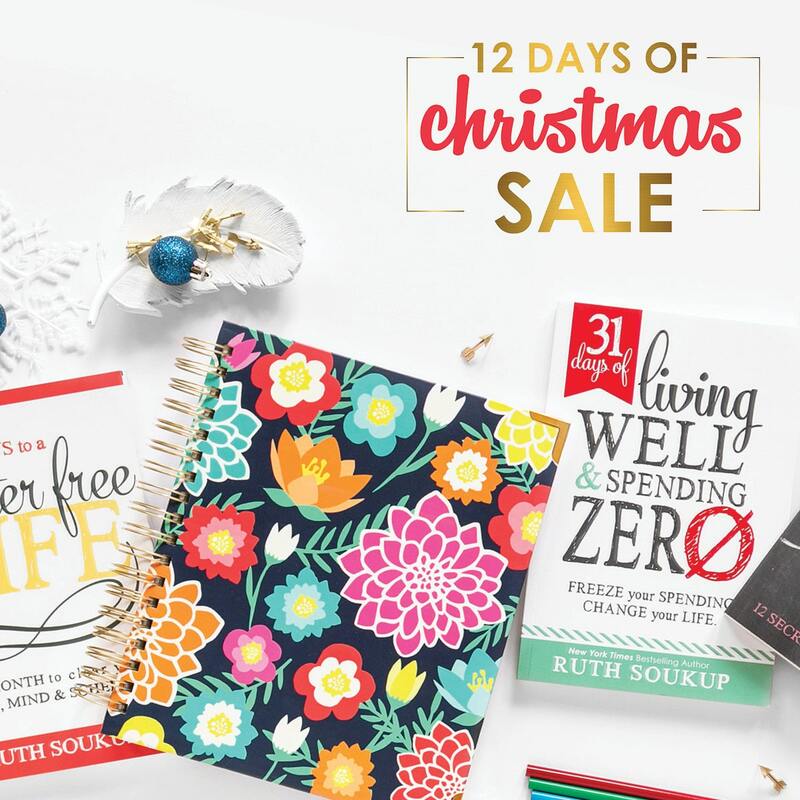 Our 12 Days of Christmas Sale is a chance to save 25% on some of the most popular books, bundles, accessories, and gifts in the Living Well Shop. It’s the biggest holiday sale we’ve ever had, and to make it even sweeter, you can get free US shipping on all orders over $50! It’s the perfect time to buy something for yourself (or all those people on your list who love planning, sticky notes, and books as much as you do). Get the New York Times bestselling book that started a living well revolution, and the life-changing planner designed to help you help you put it into practice. 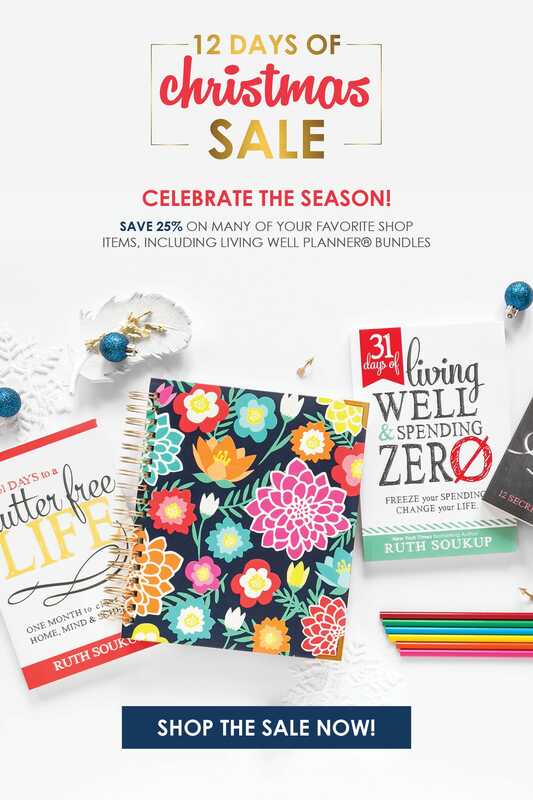 The Living Well Planner® is regularly $49.00 all by itself, so this is an amazing deal! Need more color in your life? Our stickers are the perfect way to personalize your Living Well Planner®, adding motivation, encouragement, and lots of color to your day! This 3-page sticker set includes 350 stickers and allows you to block out your time, highlight important events, and remind yourself to dream big, give yourself grace, and to do it scared! Get our four most popular and bestselling books in one life-changing bundle! Covering every topic from cleaning & organizing your home to finding your sweet spot, taming your schedule, managing your finances, and reaching your goals, this complete library will give you all the tools you need to implement real change in your daily life. Our Daily Do It™ is designed to help you organize your task list in a way that encourages you to get the big things done first by breaking down your task list into “Must Do,” “Should Do,” and “Would Like to Do” items. It’s a deceptively simple process that, done consistently, becomes a total game changer. Want to use your Living Well Planner® to its fullest potential? Get all our best productivity sticky notes in one useful bundle. Our Daily Do-It™ and Daily Focus Sheets™ will help you prioritize your time each day, while the Weekly Wizard™ will give you a clear plan to follow each week, and our handy Meal Planning Sticky Notes work with the Living Well Planner® to make meal planning a breeze. Taking back your time has never been easier! 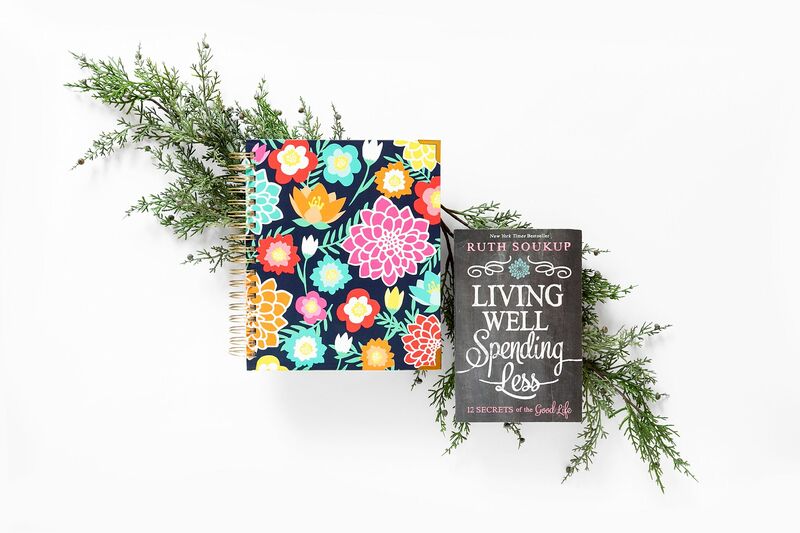 Get our four most popular books PLUS the Living Well Planner® in one life-changing bundle! Covering every topic from cleaning & organizing your home to finding your sweet spot, taming your schedule, managing your finances, and reaching your goals, this complete library will give you all the tools you need to implement real change in your daily life. Our Daily Focus Sheet™ is designed to help you organize your day to be as productive as possible, by first identifying the single most important thing you need to focus today, then by breaking down your task list into “Must Do,” “Should Do,” and “Would Like to Do” items, and then finally by helping you to break down your time into focused time block sessions of 60-90 minutes, with a planned “refresh” break in between. It also helps you identify–before you start–what a successful day will look like, and encourages you to decide ahead of time how you will celebrate a job well done. 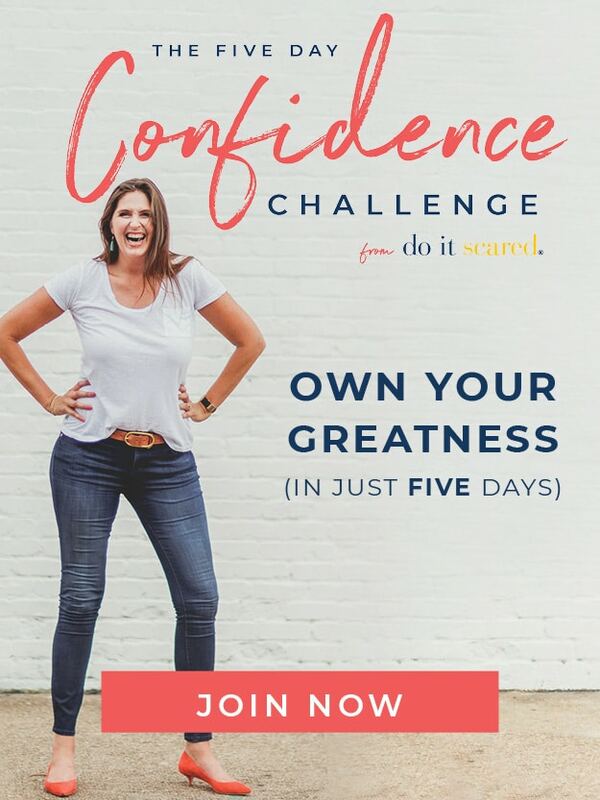 Get ready to CRUSH your goals with all of our very best tools! Start your morning off right with a cup of coffee in one of our inspirational mugs, then plan your meals, create goals, budget and bill pay in our sanity-saving Living Well Planner®. 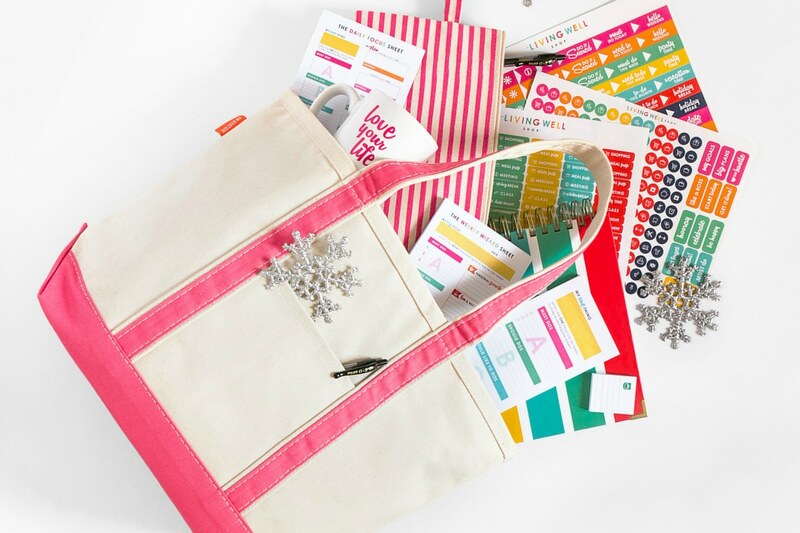 Eliminate daily overwhelm and get the most use out of your planner by using our handy Daily Focus Sheet™, Weekly Wizard™, Daily Do-It™, and Meal Planning Sticky Notes, as well as our fun and colorful Sticker Set. Keep it all together in our LWSL Essential Tote and LWSL Essential Clutch, and write everything down with our Pilot G-2 pens. Our Weekly Wizard™ is designed to help you crush your goals and live with intention, by first identifying the single most important thing you need to focus on each week, then by breaking down your task list into “Must Do,” “Should Do,” and “Would Like to Do” items, as well as an essential reminder to set goals for personal growth, health & fitness, fun & recreation, and personal connections. Clear the clutter and eliminate overwhelm from your life FOREVER! 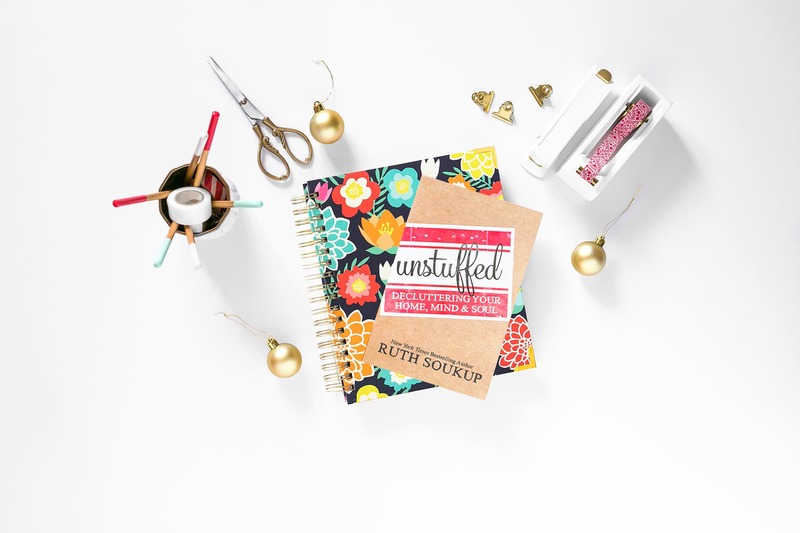 Unstuffed offers concrete, proven strategies for decluttering your home, mind, and soul, while the Living Well Planner® offers you the implementation tools to be able to eliminate overwhelm and get your life organized. 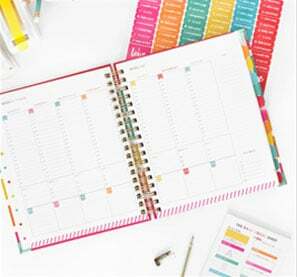 Featuring weekly and monthly planning spreads as well as inspirational quotes and an all-new goal crushing section, these two tools together are exactly what you need to unstuff your life in 2018! As you can see, there are some pretty incredible deals to be had, but only through December 12th. The one thing that you do need to know is that supplies of many of these items are limited, so don’t wait—you don’t want your favorites to be sold out before you have a chance to save! And that’s not all! You’ll find many more items on sale in the shop—just our little way of saying Happy Holidays! http://gethelpwindows10.com solution to this issue and you can fix the issue on your own.